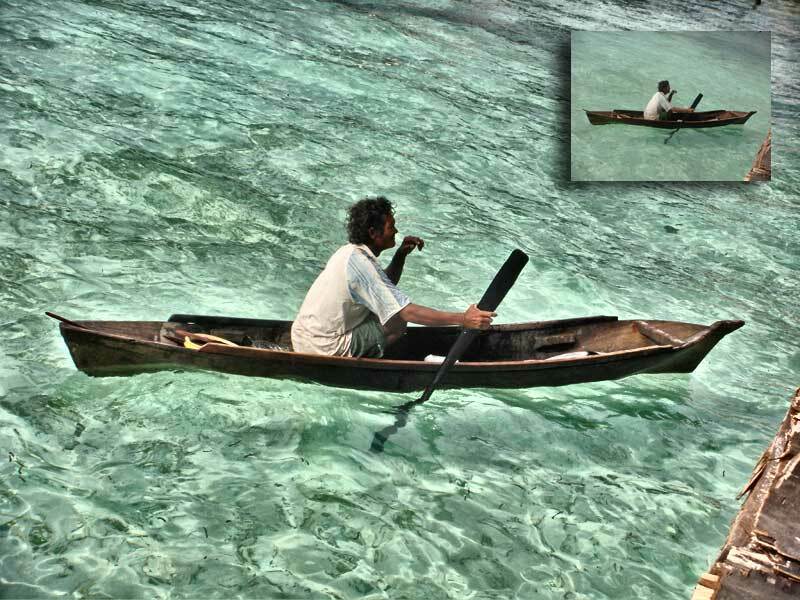 Known as the sea gypsy people, the Bajau Laut tribe of Semporna live in the ocean on their make-shift house boats. They are known for their seafaring skills. Fishing, collecting clams and mussels, and pearl farming are their main source of living. The small image is the original photo, photographed by yours truly, enhanced by tweaking and playing around with HDR Painter. See how dramatic the sea turns out!